Species number 3 in my series to celebrate National dragonfly week. 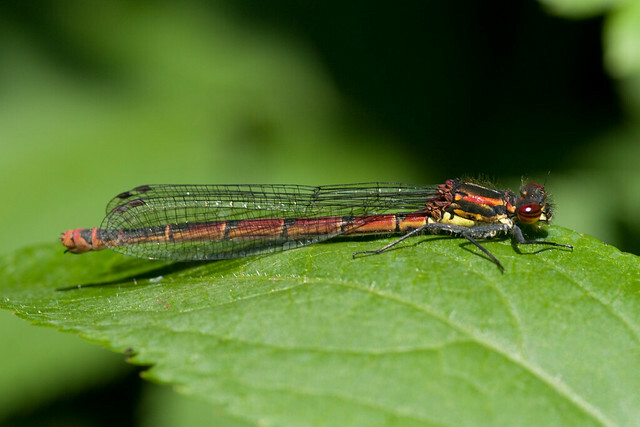 Today the Large red damselfly, Pyrrhosoma nymphula. 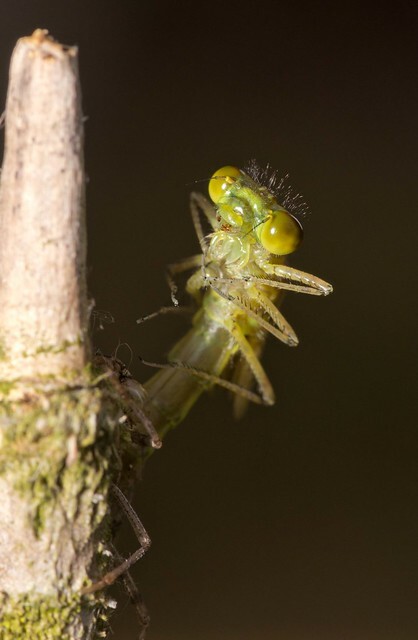 This species is well known to UK odonata fans as the first species to emerge, usually with the first sightings in April, but in exceptionally mild springs they can emerge in March, as some did in 2012. You can recognise them by their largely red colouration. 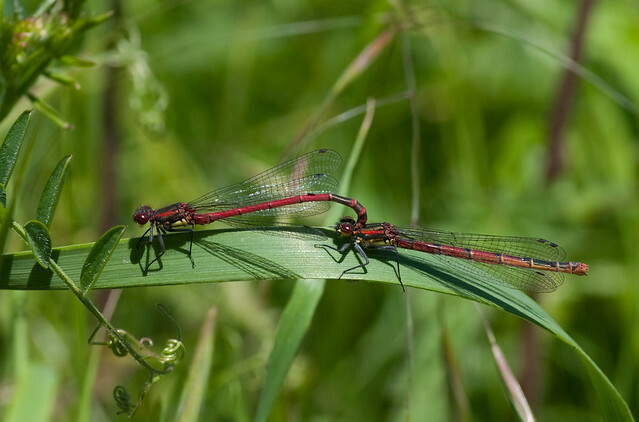 Only the small red damselfly shares with them this smaller species is restricted to local populations in a few areas in south England and Wales. Unlike this smaller species the large red is widespread and found around many types of still water, including bog pools and brackish water ditches, and slower flowing waters (Smallshire and Swash, 2004). 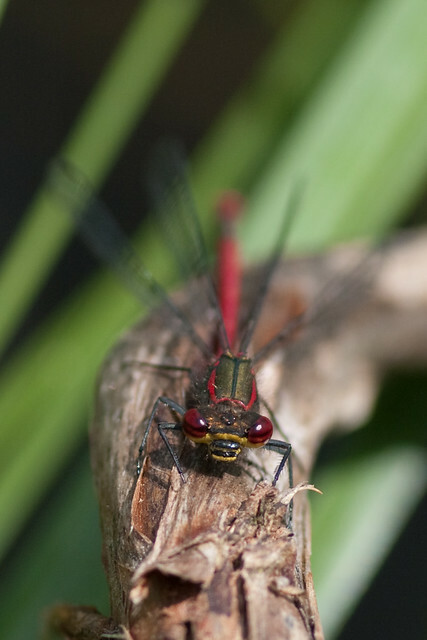 The males are mostly red (see photo below), where as the females have much more black on the abdomen (see above photo), some individuals are almost entirely black. You can see the difference in this tandem pair (male on left, female on right). Eggs are laid in tandem (Smallshire and Swash, 2004). 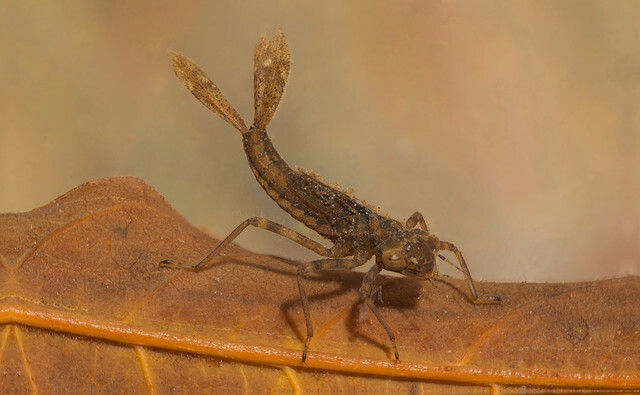 The eggs hatch after 3 weeks, having been are laid into aquatic vegetation, and the larvae live in the dead leaves and other debris in the pond (Smallshire and Swash, 2004). Having seen quite a few of these larvae over the years, one thing I’ve noticed is they are much more stocky or robust than other species likely to turn up in a typical pond. 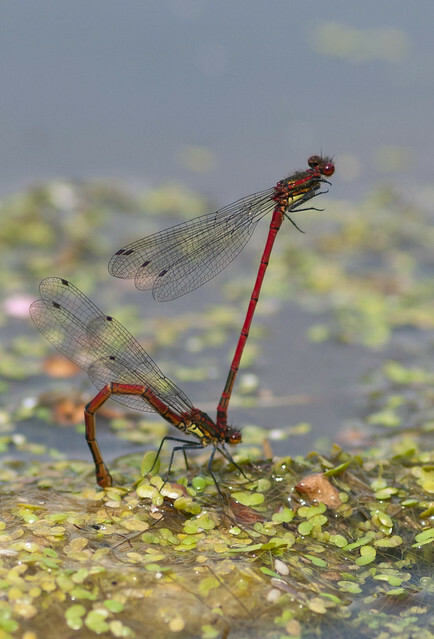 Only the small red damselfly and looking in Cham (2009), the southern damselfly, also have this stockier shape, and both these species are very localised and latter very rare. One of the coolest thing about the larvae is the way they behave towards one another. They are, unusually for nymphs, territorial and will wave they caudal lamellae (the 3 ‘tails’ at the end of the abdomen) (Smallshire and Swash, 2004), presumably this is why they have the patterns on them. After usually 2 years, but sometimes 1 or 3, in the pond they emerge as adults.